Erkan Oğur is unquestionably one of the great masters of music in our days. 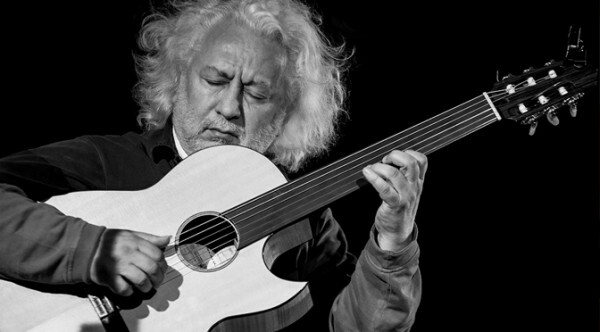 Coming from Elazığ / East Turkey he has revolutionised the world of folk music, absorbing the rich traditions from Anatolia, including the folk, classical, makam and Sufi music worlds, and has equally mastered at the same time the jazz & modern musics from the west. Through the fretless guitar and the Oğur Saz, (two new instruments – his own inventions), the electrical guitar, the saz / kopuz, his distinctive voice, as well as his original compositions, adaptations of traditional themes and extensive collaborations he has created his own proper musical world, that has made him one of the most innovative musicians in Turkey and worldwide. In Labyrinth Catalunya we are extremely happy and honoured to have Erkan Oğur in our teaching team this year giving a unique chance for musicians to study with him in a one week workshop. In his class he will share his approach and love for music, through the fretless guitar, but the seminar is open to all musicians and instrumentalists or singers that wish to delve deeper into the treasures of makam music.